Behavioral economist Keith Chen discusses how language could affect our ability to get rich in his talk, "Could your language affect your ability to save money?" We've recommended some of the best personal-finance books to read and podcasts to listen to. If those didn't get the job done, try a 10 to 20 minute TED Talk. Here, we've rounded up seven talks that could alter the way you think about money, and how you choose to save, spend, and earn. There's a difference between knowing you should save and actually doing it. "We think about saving," says economist Shlomo Benartz in his TED talk. "We know we should be saving. We know we'll do it next year, but today let us go and spend ... This issue of present bias causes us to think about saving, but end up spending." As a result, just one-third of Americans end up saving in a 401(k) retirement plan, he reveals — and only 10% of Americans are saving a sufficient amount for the future. Benartz delves into the why of our decision not to plan for the future. He identifies the behavioral challenges that prevent people from saving, and then discusses how to flip these behavioral challenges into behavioral solutions. Keith Chen, behavioral economist and economics professor at UCLA Anderson School of Management, discusses how the language we speak could be keeping us back from getting rich. 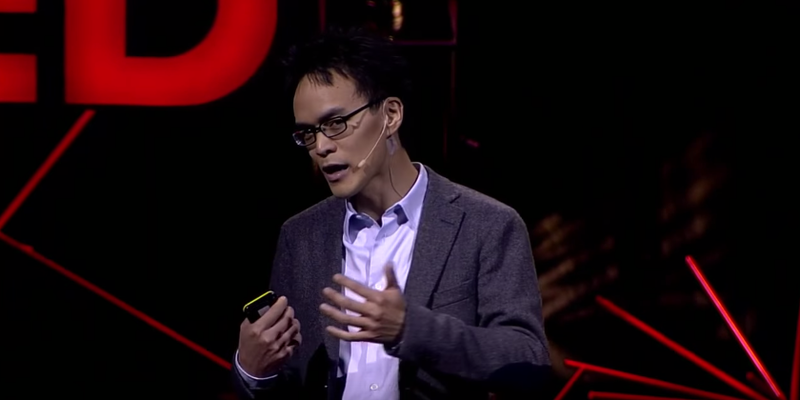 Languages can either be "futureless" or "futured," he explains in his TED talk. His research has found that languages without a concept for the future — "It rains tomorrow," instead of "It will rain tomorrow" — correlate strongly with high savings rates. According to Chen, this subtle difference in grammar could help explain why citizens of the US (English is a futured language) save much less than people in other countries. If you want to teach your kids to be rich, entrepreneur Cameron Herold's TED talk will give you something to chew on. "I think we should be raising kids to be entrepreneurs instead of lawyers," Herald says. "I think we miss an opportunity to find these kids who have the entrepreneurial traits, and to groom them or show them that being an entrepreneur is actually a cool thing." He shares his own childhood entrepreneurial endeavors, from starting a caddy business to buying and reselling soda pops to a bridge club of 70-year-old women. He also shares smart money habits to pass along to your kids, and touches on the contentious topic of allowances — and why you should not use them.